Welcome to Dallas Drilling and Pump Co. 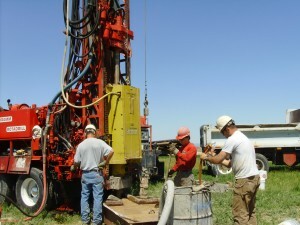 Since 1970, Dallas Drilling & Pump Co. has been offering well drilling services, pump sales and repair, domestic and commercial irrigation services, solar and wind systems, geo-thermal loops and much more to the entire Treasure Valley, including Boise, Eagle, Meridian, Nampa, Caldwell, Star, Kuna, Payette, Middleton and surrounding areas from McCall to eastern Oregon. With over 40 years experience, we’re the professionals you can count on for all your water needs. We’re fully licensed and bonded in Idaho and Oregon, and we’re fully equipped to offer a range of services from installing a new well from start to finish, and repairing and maintaining an existing water well. Solar Powered water pumping systems are the modern-day, upgraded version of the windmill. These use natural resources to deliver water in off-grid locations. 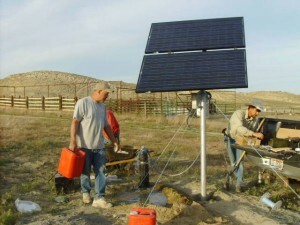 Cattle ranchers in the United States, Australia and Southern Africa are enthusiastic solar pump users. Their water sources are scattered over vast range lands where power lines are few, and the cost of transport and maintenance is high. Some ranchers use solar pumps to distribute water through several miles of pipe lines. Others use portable systems, moving them from one water source to another. One of the advantages of providing additional sources of water for livestock use is increased forage utilization. Large tracts of some areas are not fully utilized because they are too far from water, and as you know, livestock will only travel so far between feed and water. If you’re having issue getting water to remote areas, look into solar pumping solutions with Dallas Drilling and Pump Co.